One of my favorite cybersecurity terms is “botnet.” It conjures all sorts of imagery: interconnected robots, legions of networked workers simultaneously powering toward a single goal. Funnily enough, the image the word evokes is similar to what a botnet is — in roundabout terms, at least. Botnets account for a serious amount of computing power around the world. And that power is regularly (perhaps even consistently) the source of malware, ransomware, spam, and more. But how do botnets come into existence? Who controls them? And how can we stop them? The final sentence of the definition is key. Devices within a botnet aren’t usually there willingly. Devices infected with certain malware variants are controlled by remote threat actors, aka cybercriminals. The malware hides the malicious botnet activities on the device rendering the owner unaware of their role in the network. You could be sending spam offering appendage enlarging tablets by the thousands — without an inkling. What Does a Botnet Do? Spam: Sending vast volumes of spam around the globe. For instance, the average share of spam in global email traffic between January to September was 56.69 percent. When security research firm FireEye temporarily halted the transition of the notorious Srizbi botnet after the infamous McColo hosting went offline, global spam fell by a huge number (and in fact, when it finally went offline, global spam temporarily dropped by around 50 percent). Malware: Delivering malware and spyware to vulnerable machines. Botnet resources are bought and sold by malefactors to further their criminal enterprises. Data: Capturing passwords and other private information. This ties into the above. Click fraud: An infected device visits websites to generate false web traffic and advertising impressions. Bitcoin: Botnet controllers direct infected devices to mine Bitcoin and other cryptocurrencies to generate profit quietly. DDoS: Botnet operators direct the power of infected devices at specific targets, taking them offline in distributed-denial-of-service attacks. The major botnets have slightly changed direction in the past few years. Whereas medical and other similar types of spam were extremely profitable for a long time, government crackdowns in several countries eroded profits. As such, the number of emails carrying a malicious attachment rose to one in every 359 emails, according to Symantec’s July 2017 Intelligence Report. What Does a Botnet Look Like? We know that a botnet is a network of infected computers. However, the core components and actual botnet architecture are interesting to consider. Client-server model: A client-server botnet typically uses a chat client (formerly IRC, but modern botnets have made use of Telegram and other encrypted messaging services), domain, or website to communicate with the network. The operator sends a message to the server, relaying it to clients, which execute the command. Though the botnet infrastructure differs from basic to very complex, a concentrated effort can disable a client-server botnet. Peer-to-Peer: A peer-to-peer (P2P) botnet tries to stop security programs and researchers identifying specific C2 servers by creating a decentralized network. 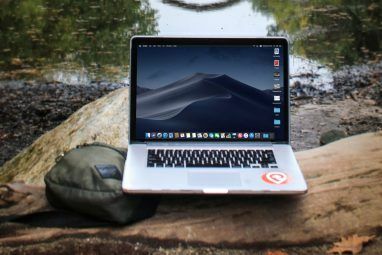 A P2P network is more advanced 10 Networking Terms You Probably Never Knew, And What They Mean 10 Networking Terms You Probably Never Knew, And What They Mean Here we'll explore 10 common networking terms, what they mean and where you are likely to encounter them. Read More , in some ways, than a client-server model. Furthermore, their architecture differs from how most envision. Instead of a single network of interconnected infected devices communicating via IP addresses, operators prefer to use zombie devices connected to nodes, in turn, connected to one another and the main communication server. The idea is that there are simply too many interconnected but separate nodes to take down simultaneously. Telnet: Telnet botnets are relatively simple, using a script to scan IP ranges for default telnet and SSH server logins to add vulnerable devices to add bots. IRC: IRC networks offer an extremely low bandwidth communication method for the C2 protocol. The ability to rapidly switch channels grants some additional security for botnet operators, but also means infected clients are easily cut off from the botnet if they do not receive updated channel information. IRC traffic is relatively easy to examine and isolate, meaning many operators have moved away from this method. Domains: Some large botnets use domains rather than a messaging client for control. Infected devices access a specific domain serving a list of control commands, easily allowing for changes and updates on the fly. The downside is the huge bandwidth requirement for large botnets, as well as the relative ease with which suspected control domains are shut down. Some operators use so-called bulletproof hosting to operate outside the jurisdiction of countries with strict criminal internet law. P2P: A P2P protocol usually implements digital signing using asymmetric encryption (one public and one private key). Meaning while the operator holds the private key, it is extremely difficult (essentially impossible) for anyone else to issue different commands to the botnet. Similarly, the lack of a single defined C2 server makes attacking and destroying a P2P botnet more difficult than its counterparts. Others: Over the years, we have seen botnet operators use some interesting Command and Control channels. Ones that instantly come to mind are social media channels, such as the Android Twitoor botnet, controlled via Twitter, or the Mac.Backdoor.iWorm that exploited the Minecraft server list subreddit to retrieve IP addresses for its network. Instagram isn’t safe, either. In 2017, Turla, a cyber-espionage group with close links to Russian intelligence, was using comments on Britney Spears Instagram photos to store the location of a malware distribution C2 server. The final piece of the botnet puzzle is the infected devices (i.e. the zombies). Botnet operators purposefully scan for and infect vulnerable devices to expand their operating power. We listed the main botnet uses above. All of these functions require computing power. Furthermore, botnet operators aren’t always friendly with one another, turning the power of their infected machines on one another. The vast majority of the time zombie device owners are unaware of their role in the botnet. At times, however, botnet malware acts as a conduit for other malware variants. Networked devices are coming online at a startling rate. And botnets aren’t only on the hunt for a PC or Mac. As you’ll read more of in the following section, Internet of Things devices are just as susceptible (if not more) to botnet malware variants. Especially if they are sought out because of their appalling security. If I told my parents to return their brand new smart TV that they got on sale because IOT is wildly insecure does this make me a good daughter or a bad daughter? I asked if it can listen to voice commands, they said yes; I made a crackling sound. They said we'll talk tomorrow. Smartphones and tablets aren’t secure, either. Android has seen several botnets throughout the past few years. Android is an easy target How Does Malware Get Into Your Smartphone? How Does Malware Get Into Your Smartphone? Why do malware purveyors want to infect your smartphone with an infected app, and how does malware get into a mobile app in the first place? Read More : it is open source, has multiple operating system versions, and numerous vulnerabilities at any one time. Don’t rejoice so quickly, iOS users. There have been a couple of malware variants targeting Apple mobile devices, although usually limited to jailbroken iPhones with security vulnerabilities. 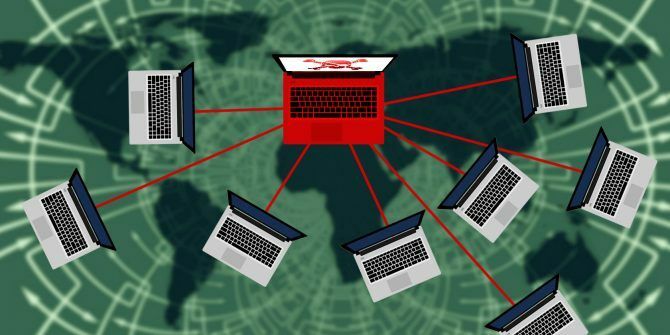 Another core botnet device target is a vulnerable router 10 Ways Your Router Isn't as Secure as You Think 10 Ways Your Router Isn't as Secure as You Think Here are 10 ways your router could be exploited by hackers and drive-by wireless hijackers. Read More . Routers running old and insecure firmware are easy targets for botnets, and many owners will not realize that their internet portal carries an infection. 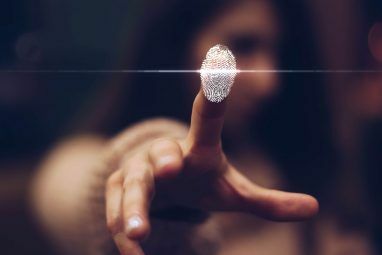 Similarly, a simply staggering amount of internet users fail to change the default settings on their routers 3 Default Passwords You Must Change & Why 3 Default Passwords You Must Change & Why Passwords are inconvenient, but necessary. Many people tend to avoid passwords wherever possible and are happy to use default settings or the same password for all their accounts. This behavior can make your data and... Read More after installation. Like IoT devices, this allows malware to propagate at a staggering rate, with little resistance met in the infection of thousands of devices. Taking down a botnet isn’t an easy task, for a number of reasons. Sometimes the botnet architecture allows an operator to rebuild quickly. At other times, the botnet is simply too large to take down in one fell swoop. The majority of botnet takedowns require coordination between security researchers, government agencies, and other hackers, sometimes relying on tips or unexpected backdoors. A major problem facing security researchers is the relative ease with which copycat operators start operations using the same malware. I’m going to use the GameOver Zeus (GOZ) botnet as a takedown example. GOZ was one of the biggest recent botnets, thought to have over one million infected devices at its peak. The botnet’s primary use was monetary theft (distributing the CryptoLocker ransomware A History of Ransomware: Where It Started & Where It's Going A History of Ransomware: Where It Started & Where It's Going Ransomware dates from the mid-2000s and like many computer security threats, originated from Russia and eastern Europe before evolving to become an increasingly potent threat. But what does the future hold for ransomware? Read More ) and spam mail and, using a sophisticated peer-to-peer domain generating algorithm, appeared to be unstoppable. A domain generating algorithm allows the botnet to pre-generate long lists of domains for use as a “rendezvous points” for the botnet malware. Multiple rendezvous points make stopping the spread almost impossible, as only the operators know the list of domains. In 2014, a team of security researchers, working in conjunction with the FBI and other international agencies, finally forced GameOver Zeus offline, in Operation Tovar. It wasn’t easy. After noticing domain registration sequences, the team registered some 150,000 domains in the six months leading up to the start of the operation. This was to block any future domain registration from the botnet operators. 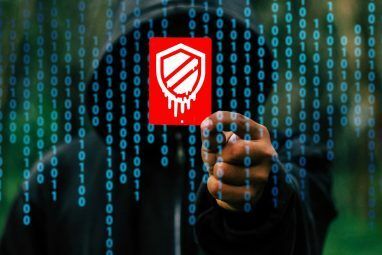 Botnet owner Evgeniy Bogachev (online alias Slavik) realized that the takedown was in place after one hour, and attempted to fight back for another four or five hours before “conceding” defeat. In the aftermath, the researchers were able to crack the notorious CryptoLocker ransomware encryption, creating free decryption tools for victims CryptoLocker Is Dead: Here's How You Can Get Your Files Back! CryptoLocker Is Dead: Here's How You Can Get Your Files Back! Read More . But not all botnets are the same. As one botnet meets its end, another operator is learning from the destruction. In 2016, the biggest and baddest botnet was Mirai. Before its partial takedown, the Internet of Things-based Mirai botnet hit several prominent targets Why Your Crypto Coin Is Not as Secure as You Think Why Your Crypto Coin Is Not as Secure as You Think Bitcoin continues to hit new highs. Cryptocurrency newcomer Ethereum threatens to explode into its own bubble. Interest in blockchain, mining, and cryptocurrency is at an all-time high. So why are cryptocurrency enthusiasts under threat? Read More with staggering DDoS attacks. One such attack hit security researcher Brian Krebs’ blog with 620Gbps, eventually forcing Krebs’ DDoS protection to drop him as a client. Another attack in the following days hit French cloud-hosting provider OVH with 1.2Tbps in the largest attack ever seen. The below image illustrates how many countries Mirai hit. Though Mirai wasn’t even close to being the largest botnet ever seen, it produced the largest attacks. Mirai made devastating use of the swathes of ridiculously insecure IoT devices Is Your Smart Home at Risk From Internet of Things Vulnerabilities? Is Your Smart Home at Risk From Internet of Things Vulnerabilities? Is the Internet of Things safe? You would hope so, but a recent study has highlighted that security concerns raised several years ago have yet to be addressed. You smart home could be at risk. Read More , using a list of 62 insecure default passwords to amass devices (admin/admin was top of the list, go figure). Security researcher Marcus Hutchins (aka MalwareTech) explains that part of the reason for Mirai’s massive power is that the majority of IoT devices sit there, doing nothing until requested. That means they are almost always online, and almost always have network resources to share. A traditional botnet operator would analyze their peak power periods and time attacks accordingly. IoT botnets, not so much. So, as more poorly configured IoT devices come online, the chance for exploitation grows. We’ve learned about what a botnet does, how they grow, and more. But how do you stop your device becoming part of one? Well, the first answer is simple: update your system How to Fix Windows 10: A Beginner's FAQ How to Fix Windows 10: A Beginner's FAQ Need some help with Windows 10? We answer the most frequently asked questions about using and configuring Windows 10. Read More . Regular updates patch vulnerable holes in your operating system, in turn cutting the avenues for exploitation. The second is download and update an antivirus program, and an antimalware program, too. There are numerous free antivirus suites out there that offer excellent, low impact protection. Invest in an antimalware program, like Malwarebytes The Complete Malware Removal Guide The Complete Malware Removal Guide Malware is everywhere these days, and eradicating malware from your system is a lengthy process, requiring guidance. If you think your computer is infected, this is the guide you need. Read More . A Malwarebytes Premium subscription will set you back $24.95 for the year, giving you real-time malware protection. Well worth the investment, in my opinion. Finally, grab some additional browser security. Drive-by exploit kits are a nuisance, but they are easily avoidable when you use a script-blocking extension like uBlock Origin. Was your computer part of a botnet? How did you realize? Did you find out which infection was using your device? Let us know your experiences below! Explore more about: Botnet, Computer Security.